Known amongst some of her supporters as ‘the Miriam Makeba’ of Tshivenda music, Vho-Matodzi Irene Mawela is a legend. Although she may not be well-known amongst non-Venda speakers, her song writing skills and sweet voice have, for more than 50 years, added a golden touch to many well-known songs by well-known solo artists and groups. She has recorded and performed with the Dark Sisters Killingstone Stars, Black Sea Giants, The Sweet Sixteens, The Telegram Specials, Brit’s Sweethearts, Young Stars, Radio Stars, Pretty Dolls, Beauty Queens, Irene and The Sweet Melodians, Mgababa Queens, Izintombi Zomoya, The Zebras, Mahabula Joza, and Mahotella Queens. Vho-Irene Mawela was in Moroka, Soweto, in 1940. Her parents had moved from Venda, before she was born, to settle in Soweto. At that time, due to the promotion of tribalism by successive Boer governments, Vendaspeaking and Tsonga-speaking people were undermined and despised by other African ethnic groups in Johannesburg. In order to hide her Venda identity, and due to the fact that there were no primary schools that taught Tshivenda in Johannesburg, Irene’s parents enrolled her in a Sesotho primary school. She, however, spoke fluent Tshivenda at home. Raised in a Catholic family, Irene regularly attended church where her keen love for singing grew. By her teens, she was a singer in the Sweet Voices, a chorus that sang at wedding ceremonies in Soweto. It was with this group that Irene began perfecting her uniquely sweet lead harmony, a talent that earned her many followers. She was 17 years old when she was spotted by Rupert Bopape at a wedding party in Soweto singing with the Sweet Voices. Bopape, who was at EMI Records, invited Irene to join a group known as Dark City Sisters. The group was made of Esther Khoza, Nunu Maseko, Fransisca Mngomezulu, Hilda Mogapi, Joyce Mogatusi, Grace Msika and Kate Olene. As an artist attached to EMI, Vho-Irene composed songs for fellow musicians. One of these was ‘Mamorwesi’ which featured Joyce Mogatutsi. The majority of her material was recorded in isiZulu and Sesotho. This was due to the fact that record company executives insisted that popular music needed to be recorded in isiZulu and Sesotho for it to attract buyers. Irene had, however, a burning desire to record songs in her onw language, Tshivenda. Irene left EMI in 1962 and joined Troubadour under Cuthbert Matumba. At Troubadour, Irene worked with Dorothy Masuka, Abel Mafuya and Dixie Kwankwa. After Cuthbert Matiumba’s death in a car crash in 1965, Irene continued to record asa Troubadour session vocalist under Daniel Makhubela. Muhulwane ndi Vho-Emily vha ha Nethavhani”. Although she had been allowed to record two Tshivenda singles, record company executives still insisted that the majority of her recordings needed to be in isiZulu or Sesotho. Irene decided to record Tshivenda language versions of record companies had forced her to record in isiZulu and Sesotho. Irenene reunited with Rupert Bopape in 1972. She joined Bopape’s stable Mavuthela Records and became a member of a group known as Izintombi Zomoya. She later married Rupert Bopape in the mid-1970s. She then moved from Johannesburg and settled in Tzaneen, Bopape’s hometown. She, however, continued to compose and record music under different names, such as Irene and The Sweet Melodians, and Irene and the Zebra Queens. She would often travel from Tzaneen to Johannesburg to record her music. West Nkosi took over as the executive head of Mavuthela when Bopape retired in 1977. 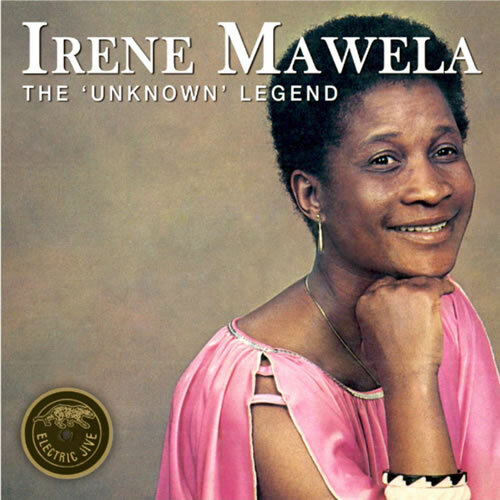 Irene worked with West Nkosi and produced her first LP under the name ‘Irene and The Sweet Melodians’. Among the tracks was a Tshivenda track titled ‘Mudavhini’. Muduhulu u ya Lwala (Nthatheni u ya lwala). Ariyeni Muraleni (Ri yo Vhona Musidzana Musekene ano Takadza Shangoni. U Takadza Venda Nga u Imba). Vhana Vhashu (Murena Ri Thuse Na Vhana Vhashu). Irene and Bopape separated in 1984. Shen left Tzaneen and returned to Muraleni, Ha-Sinthumule. In the 1990s she recorded a hit titled Guvhukuvhu, a tribute to the beauty of Phiphidi Waterfalls. A waterfall is known as guvhukuvhu in Tshivenda. She has also recorded new material such as ‘Athilaiwi’, ‘Fhumulani’, ‘Mutale’, ‘Ndo Vhuya Venda’, and ‘Tshigombela’. Tshima Award (Phalaphala FM Awards) – Lifetime Achievement Award, 2012. She has also been honoured at the Night of the 50s and the Night of the 60s ceremonies held by the national Department of Arts and Culture in 2006 and 2007 respectively. Vho-Matodzi Irene Mawela is truly a legend that should be honoured and celebrated.